Happy Halloween! I hope you all have a fun and safe Halloween. I am so excited because it looks like we are going to have the perfect weather this weekend. Thanks for stopping by! So beautiful! Perfectly cosy yet chic outfit! 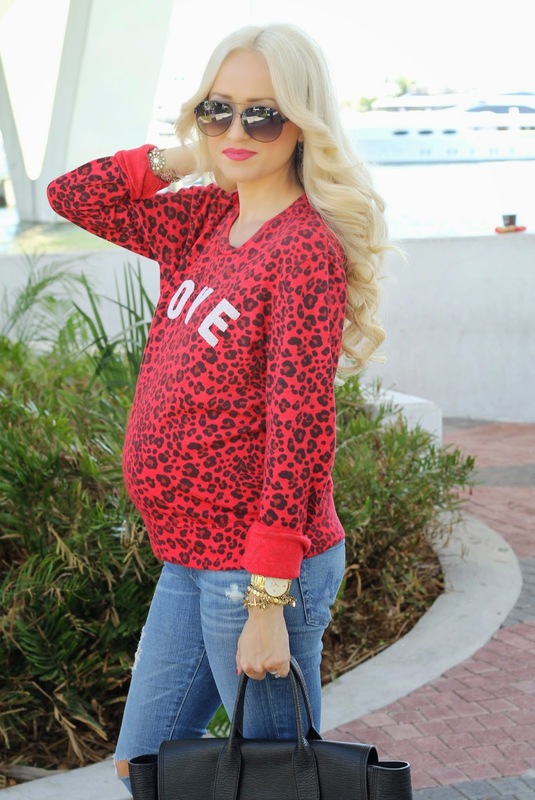 I love this leopard print sweater! So pretty on you! Hope you have a great Halloween weekend! Aww!! Your baby bump has gotten so big already! Oh my gosh!!! Love this sweater so much! This outfit look so comfy, love the sweater!